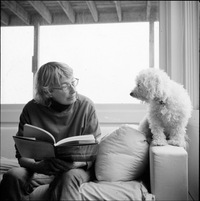 I love Mary Oliver’s poetry. It says so much on an essential level of who we are as humans. This stanza reminded me of the old Bee Gees song and the line about “Words are all I have to take your heart away.” Thank you Coco for the original post. Thank you, Ivon and Coco for the eloquent reminders.